In speaking with some of our advisers and users, it was suggested we consider reducing our price on the Quantum iNfinity App. While our current competitors sell their product for $15 000usd, we have been hovering around the $1000usd mark. The general consensus is to adopt a pricing model which would not include any hardware accessories. What do you think about this? 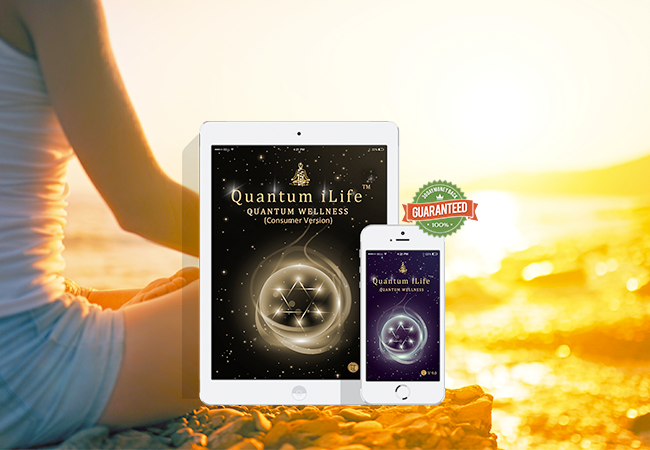 Would you prefer to purchase the Quantum iNfinity App for a lesser amount and not receive the Quantum Geo Harness (or any other of our fantastic accessories) or do you prefer to have the accessories included with the purchase? 1: It is and always will be our aim to ensure that price never becomes an obstacle when offering a wellness tool to help balance and maintain one's current state of health. 3: Many of our current users have their own hardware accessories they integrate into the Quantum iNfinity App and may prefer using their hardware. 4: Currently, any purchasers in CA should be charged Sales Tax, however currently we absorb this cost. If a software is downloaded directly from the internet there is no Sales Tax... PERIOD! However if you include any hardware, Sales tax is applicable. 6: Hardware accessories can always be added at a later stage. Neodymium Magnets placed within the Quantum Geo allows for the frequencies to "hold" for a much longer period of time! The Quantum Geo harness acts as a superb delivery system for the energetic signatures generated by the Quantum iLife.Plugs into your iPhone, iPad, iPod or Android Audio Jack and attached to the clients wrists or placed on either side of the head. When balancing is activated using the Quantum iLife Software, the sound frequencies are transformed by means of the Geo Harness into electro-magnetic frequencies which is then projected into the body through the Flower Of Life Sacred Geometrical pattern designed on the Quantum Geo. Now you can import your own herbs, supplements and other products into the Quantum infinity software. You can also place items on the test plate and check for product bio-compatability. Perhaps you have your own line of homeopathic remedies or nutritional supplements or essential oils? Perhaps there is a specific nutritional company whose products you highly recommend? Now, you can import the energetic signature of all these items and test them against your client to identify which items offer the most bio-compatibility. Acts as a passive sensor device to monitor brain wave activity during the entire balancing session.